Honk your horns theirs a new track in stores just in time for the holidays! 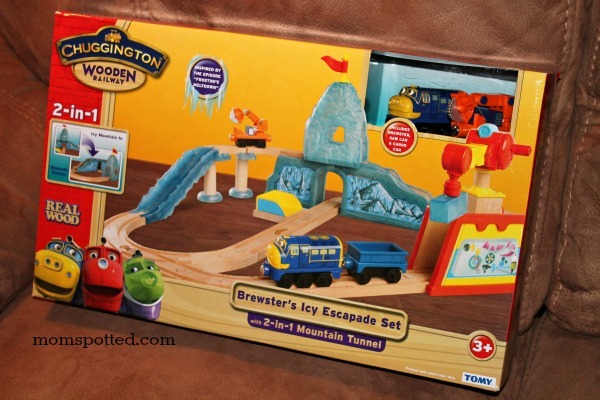 It’s the Brewster’s Icy Escapade from Chuggington and its the perfect track to get your child started or to add on to their current collection of wooden track! 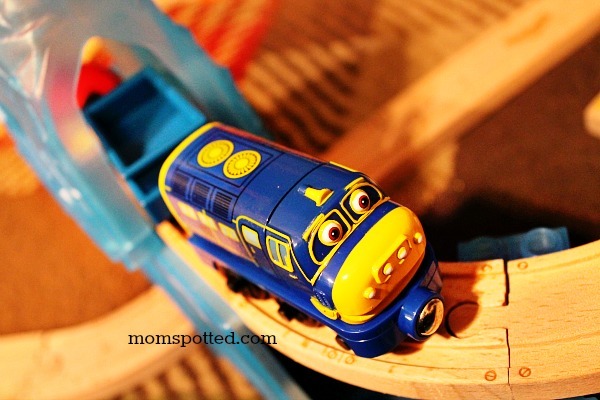 I love the bright colors of Chuggington and I love all the fun characters they have. Of course they make sure to bring the fun of Chuggington over in their fun toys. Gavin just loved the wooden magnetic crane. He loved having it low down and driving Brewster through and catching the load with the magnet and cranking it up. the crank is easy for both tiny and bigger hands. I like the icy mountain best and I loved that it really was two tunnels in one! Of course you’ll also have Brewster included as well as his two cargo cars. The set is 31 pieces total! As you can see both boys had fun playing with this set and it actually kept them busy for quite some time. Johnny really liked building it all different ways while Gavin loved using the tracks he made. 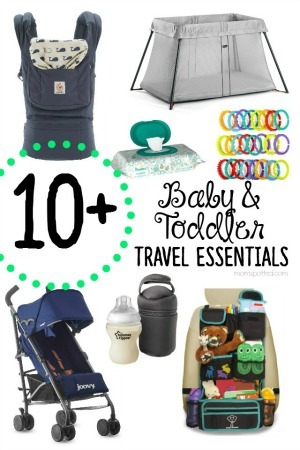 As a mom I loved that the set stayed how you put it and wasn’t flimsy in any way. There is nothing worse then getting your track just how you want it and then have it not be able to take being played with without falling apart. As with all of the Chuggington sets- you eon’t be disappointed! You can purchase the Chuggington’s Wooden Train Set – Brewster’s Icy Escapade for $99.99 at specialty retailers! 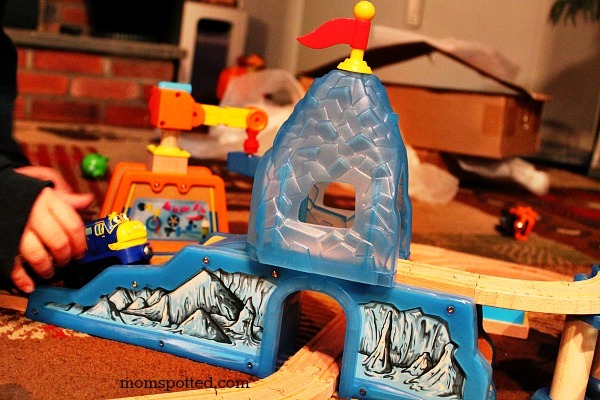 Chuggington has offered one Mom Spotted Reader a Brewster’s Icy Escapade Playset!!! 1.) Tell me what other Chuggington product you like. 4.) Blog about my giveaway- with a link back to here AND Chuggington 4 entries (MUST include at least 30 words! Get two additional entries if you include a photo of the giveaway). 9.) Become a Fan of Chuggington on Facebook! That’s many chances to win a Brewster’s Icy Escapade Playset!!! Contest ends November 11th at 11:59pm! I also like their Calley’s Rescue Wooden Railway Set. 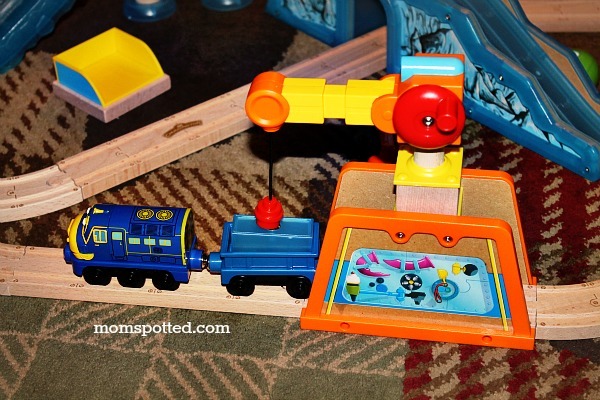 We Love all the chuggington products but my son really love the fix & go repair shed. I like the All Around Chuggington Set. We apologize for any inconvenience and ask that you try again later. 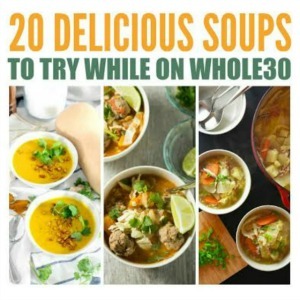 Click here to return to the Learning Curve home page. I like the Learning Curve Chuggington Interactive Braking Brewster Set. I like the Tomy International Chuggington Die Cast Badge Quest Ice Cream Training Playset with Frostini . I’m a Fan of Chuggington on Facebook! The board book set is super cute! I like the Chuggington 4-in-1 Game Cube. I am a fan of Chuggington on Facebook (Andrea Hamilton). My son would also love the Traintastic Cargo Game! Already a follower on Google+ ! Fan of Mom Spotted on facebook! Fan of Chuggington on facebook! I like the Disney Fairies 10 oz. Soft Spout Travel Lock Sippy Cups . 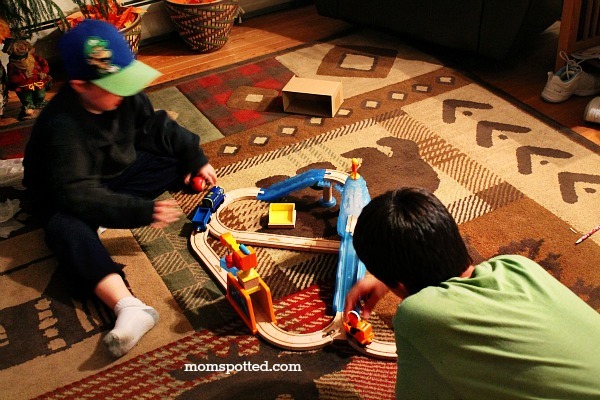 Their traintastic cargo game looks like something my kids would have fun with! I am a fan of your on FB! Id like the All Around Chuggington Set and love to have the Rock Quarry too! 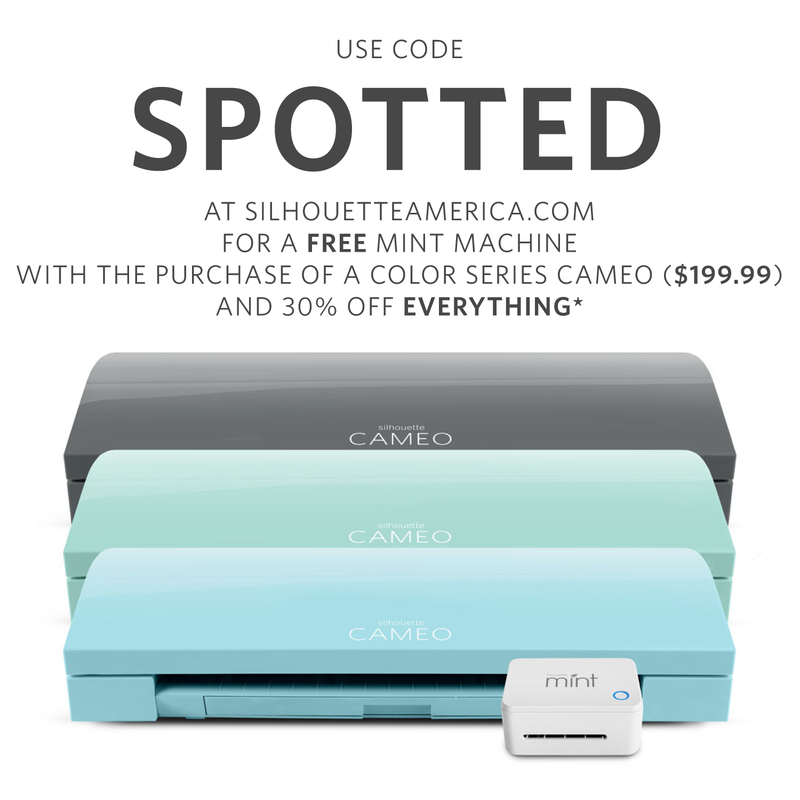 I follow Momspotted on twitter and tweeted! I am a Google Plus follower of yours! I like the chuggington 4 in 1 game cube! Oh Carter would also love the Chuggington 4-in-1 Game Cube! I like Chuggington on Facebook! I like the Chuggington Board Book Set! I like the sticker book and paperback set. I like the 39 piece Calley’s Rescue Set. I like the Fix & Go playset. I like the Leaf-Covered Brewster! I follow Chuggington on Twitter as ReneeWalters7! Thanks so much for the fantastic giveaway! I like Chugington on Facebook as Renee Walters! Thanks so much for the fantastic giveaway! I like the Calleys Rescue Set. Mom Spotted liked on facebook, also! I am a facebook fan of Chuggington (Marysa N). I like the koko flashlight. I also love the chuggington brewster carrying case! I (aka my son) like the All Around Chuggington Set. I like Chuggington on Facebook (Deanna Devendorf McClellan). I ‘d like the Old Town Turntable for my grandson. 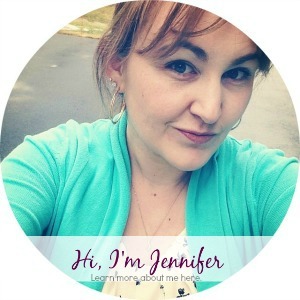 Following you on Networked Blogs: Nicole Sender. Following Chuggington on twitter @minibea. 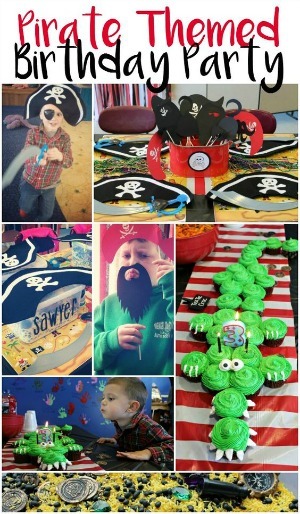 Fan of Chuggington on Facebook: Nicole Sender! Fan of Mom Spotted on Facebook: Nicole Sender- comment made. 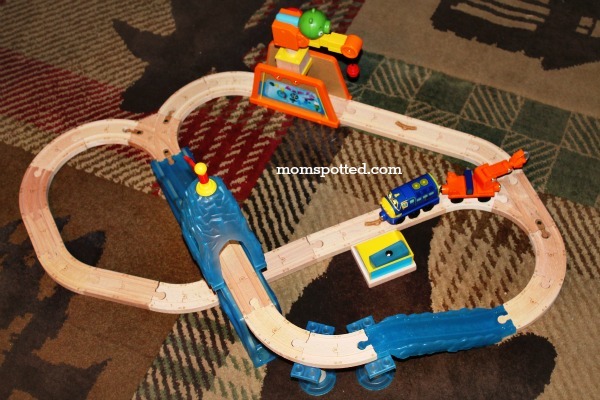 I like the Traintastic Cargo game, I think my son would have fun playing that. i lik calleys rescue set! I love the action chugger. I like the Calley’s Rescue Set! My little guy would probably like Calley’s rescue set. I would love the play table for my two little guys. It would be perfect. I also really like the Trainee Roundhouse Set! Thanks for the giveaway! I’m a follower on Google + (Kellie Conklin), thanks! I’m following on Networked Blogs (Kellie Conklin) thanks! I like Chuggington on facebook (Kellie Conklin) thanks! I’m following Chuggington on twitter (@kellieconklin) thanks! I like the safari set aswell. 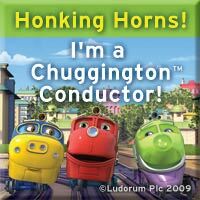 I’m a Chuggington follower on Twitter (MsTylerpants). I’m a Chuggington fan on Facebook (Lisa Li). I like the Lets Ride the Rails Playtable with Playboard. I follow Chuggington on Twitter as @LauraUnger31. Grandson would love the Chuggington 4-in-1 Game Cube.